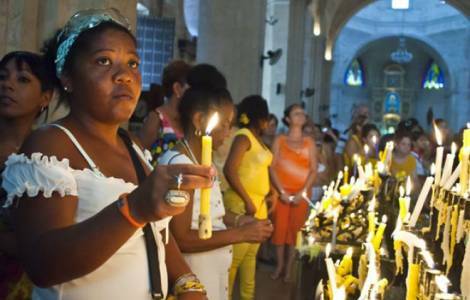 Havana (Agenzia Fides) - In a long and articulated pastoral Letter just published, the Episcopal Conference of Cuba has expressed itself on the project of the new Constitution of the country which, at the end of the review process, will be submitted to a popular referendum. The draft of the new Constitution, which should replace the one in 1976, was approved by Parliament last July, and is currently under examination and debate through meetings of the population in workplaces, in study centers and in neighborhoods, until November. After an introduction which emphasizes the importance of the main Document for a country, as is the Constitution, the Bishops underline the issues in the Letter that it must take into account as they govern the Cuban society: the dignity of man and woman, respect for human rights, the family, the economy and the service to the common good. For each point mentioned, the Bishops start from a biblical reflection to suggest reflections and suggestions related to Cuban current events, such as the application of international agreements. From the Universal Declaration of Human Rights (December 10, 1948), which are not yet applied in the country, the right to different opinion is emphasized, the right to life, conscientious objection, to profess a faith, with the freedom to be able to practice a religion. In the case of the Catholic Church, the juridical recognition of the Church and of her identity is called for, with the possibility of managing services for public, cultural, health and charity education. The news of the Letter is the request of the Bishops to create a "Court of Constitutional Guarantees with the aim of safeguarding the rights that are approved in it". This tribunal is the supreme body whose mission is to guarantee the supremacy of the Constitution and the defense of the constitutional order: it is an organ that does not exist in the current Cuban set of rules.